How to register for the Wilton Code Red System ahead of the first power outage, and other important precautions. Now that the cold weather has arrived I feel it is timely to remind residents of some safety precautions that can be taken in the event of a storm that causes power outages. The past few years we experienced some significant weather effects that caused power to be off, in some cases for as many as seven days. With the colder weather upon us, we all need to be even more vigilant about the dangers of being without power. One of the best ways any of us can be prepared for a power outage is pre-planning. Several years ago, the Town of Wilton published and circulated an Emergency Preparedness Guide. The purpose of its publication was to help residents in preparing for emergencies and how to keep you and your home safe. If you have never read the Emergency Preparedness Guide or if you simply want a refresher, I urge you to go to the Town’s website and read it. There are many good and simple ways to prepare. 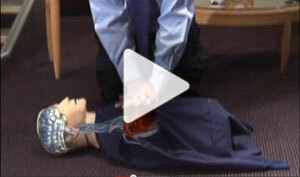 It is also important to remember that during any emergency, you should remain calm and patient. I realize that it is difficult to be patient when your power has been out for a week, but I assure you that Town officials are working as hard as we can to have power restored so that we can all return to normal as quickly and safely as possible. 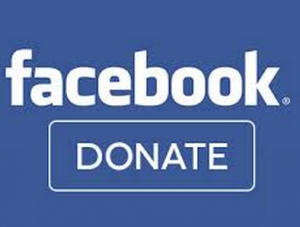 Each and every time we encounter any emergency we have continued to strive for enhancement to the community we serve. Some of the steps we take during storm related emergencies include opening the Emergency Operations Center, EOC. We coordinate our efforts of street clearing and power restoration from within the EOC. Many decisions affecting residents and the response of emergency and work crews are made and then communicated through our established phone Hotline and the Code Red system. For those without power and unable to receive Code Red messages or unable to call the Hotline, the Town posts hardcopy updates at many locations throughout Wilton several times each day that provide information on the status of power restoration, road closures and a variety of other situations affecting each of us. I encourage each resident to register their home phone and as many cell phones as they wish in the Code Red system. You will receive updated emergency messages as they become available. 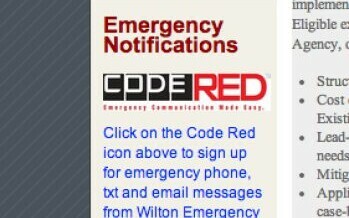 You can register by going to the Town’s website, wiltonct.org and clicking on the Code Red icon. You can sign up for an email or text messages in addition to the voice message that is sent. The Town has also opened its shelter during the recent storms sheltering, feeding and keeping residents safe until their power was restored. Finally, safety during storm related emergencies, as with any other time, also includes securing your homes and vehicles to prevent access. Remove valuables and lock your vehicles when you park them. Many times, there have been vehicles parked at residents’ homes and public parking areas and they are opened easily because they were not locked. Securing them and removing valuable items takes very little effort and may save you the expense and aggravation of replacement. As always, please report suspicious activity to the police department immediately. Town Officials, Police, Fire, EMS and the Citizen Emergency Response Team members work very hard during turbulent weather to make sure residents are as safe as possible. We cannot control natural disasters but we can prepare for them before they occur. Make certain your emergency supply kit is current and ready for use.